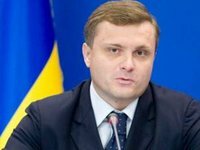 Founder of the New Ukraine Foundation Serhiy Liovochkin has said he has decided to run for MP so as to promote the achievements of the foundation at the legislative level. "Ukraine is now in a difficult economic situation. There is a war now going on in our state. I believe that even amid the conflict in the east, amid the annexation of Crimea, Ukraine has a chance to conduct a deep modernization of the country. I'm going to parliament to make sure Ukraine does not lose this chance of development," Liovochkin said in a statement obtained by Interfax-Ukraine. He said that he supports the second wave of modernization reforms, "where the key word should be said by the regions of Ukraine." "That is why I supported the proposal of my colleagues - the New Ukraine Institute for Strategic Studies - on the implementation of programs of a strategic breakthrough of five regions of Ukraine," Liovochkin said. He said that the New Ukraine Foundation would deal with the implementation of this program, which includes Kyiv, Odesa, Mykolaiv, Vinnytsia and Kirovohrad. "I am confident that the center of Ukraine, the south and the capital should be a connecting link of a new, unified Ukraine," he said. Liovochkin noted that in parliament he intends to engage in the promotion of all reforms and achievements of the New Ukraine Foundation. He said that he was running for MP from the Opposition Bloc. Interfax-Ukraine learned that Liovochkin was 12th on the election list of the Opposition Bloc.